Peace and War with Julien Leparoux up wins the Darley Alcibiades (gr. I) on Oct. 3, 2014, at Keeneland. 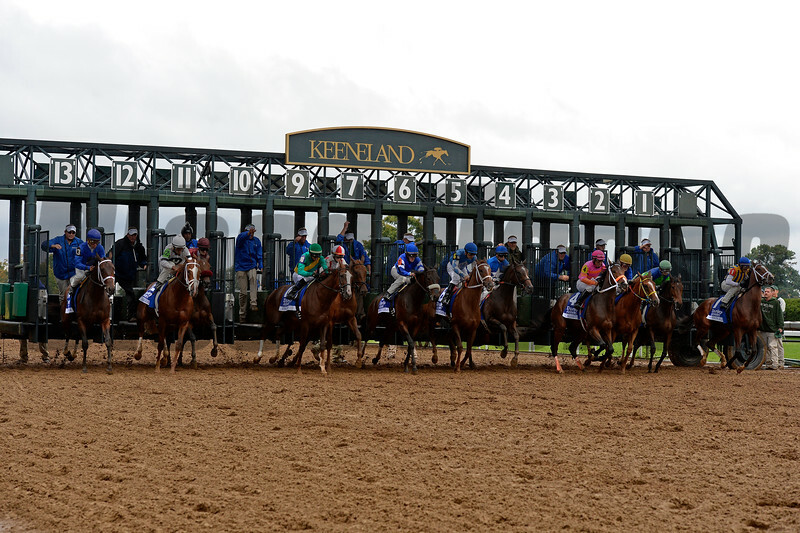 Keeneland Files, Fall 2014, at Keeneland on Oct. 3, 2014, near Lexington, Ky., for Bloodhorse.com.